The first parish workhouse at Foleshill, financed by a legacy from an unknown donor, was built in 1724. It was sold in 1732 and the proceeds used to build another building on Partridge Croft. This in turn was replaced in 1787, then in 1797 a "House of Industry" was erected on Brick Kiln Lane (now Broad Street). A parliamentary report of 1777 recorded parish workhouses in operation at Bedworth (for up to 50 inmates), Foleshill (30), and Stoke (25). Two unions were formed in the area under Gilbert's Act. The Bedworth Union was formed in 1816 and comprised twelve parishes. It operated a workhouse at Bedworth and continued in operation until 1851. On 30th May, 1822, Exhall formed a Gilbert Union with another parish in the area and operated a workhouse in Exhall. The Exhall Gilbert Union was dissolved in 1835. County of Warwick: Ansty, Binley, Exhall (2), Foleshill (5), Keresley, Shilton, Stoke (2), Sow [Walsgrave on Sowe] (2), Willenhall, Withybrook, Wyken. Later Addition: Bedworth (from 1851). The population falling within the Union at the 1831 census had been 11,965 with parishes ranging in size from Willenhall (population 120) to Foleshill itself (6,969). The average annual poor-rate expenditure for the period 1834-36 had been £5,621 or 9s.5d. per head of the population. Initially, Foleshill Union took over the existing Foleshill workhouse on Brick Kiln Lane and the Poor Law Commissioners authorised an expenditure of £400 for it be "altered and enlarged". The old Exhall workhouse was also retained for housing aged paupers. In 1859, a new Union workhouse was erected at a site between Little Heath Road (now Foleshill Road) and Lythalls Lane. It accommodated 180 inmates and cost £8,000. Its location and layout are shown on the 1918 map below. 23rd February 1874. Dinah Dewis. Beating and ill-using Mary Staines (a lunatic). Locked up 6 hours in the refractory ward and bread and water for dinner. 10th March 1889. Richard Hunter. For overstaying his leave of absence by about 30 hours and returned beastly drunk. Bread and water for 48 hours. 23rd September 1887. Thomas Houghton and Uriah Randle — Playing truant. Received 10 strokes with a cane — ordered by the Board. 14th November 1898. Joseph Cramp, Walter Gittens, Frederick Collins. For running and catching sheep belonging to Mr Edwin Chaplin, and riding upon their backs. I admonished them and gave them 4 stripes with the birch, each. 16th May 1899. Thomas Randle. For breaking the windows in the hospital ward. Taken before the Justices of the Peace and sentenced to 14 days' hard labour. In 1916, the workhouse was given over for the housing of wartime munitions workers and the existing inmates were boarded out at Nuneaton workhouse. The workhouse never re-opened and in 1921 was converted into flats to help with the housing shortage. 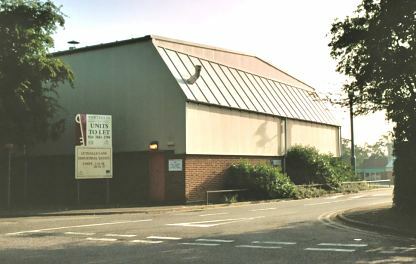 The site was later used as a council depot and is now covered by an industrial estate. Foleshill former workhouse site from the west, 2001. By the 1920s, the Foleshill Union ws operating a children's Receiving Home at Bedlam Lane, Foleshill, to process children coming into the union's care. In 1924 it had 13 places. The home had closed by 1929. The Coventry History Centre, The Herbert, Jordan Well, Coventry CV1 5QP. Holdings: Guardians' minute books (1837-1930); Punishment book (1864-1900). Foleshill Union Workhouse Punishment Book 1864-1900 Coventry Family History Society (1995).